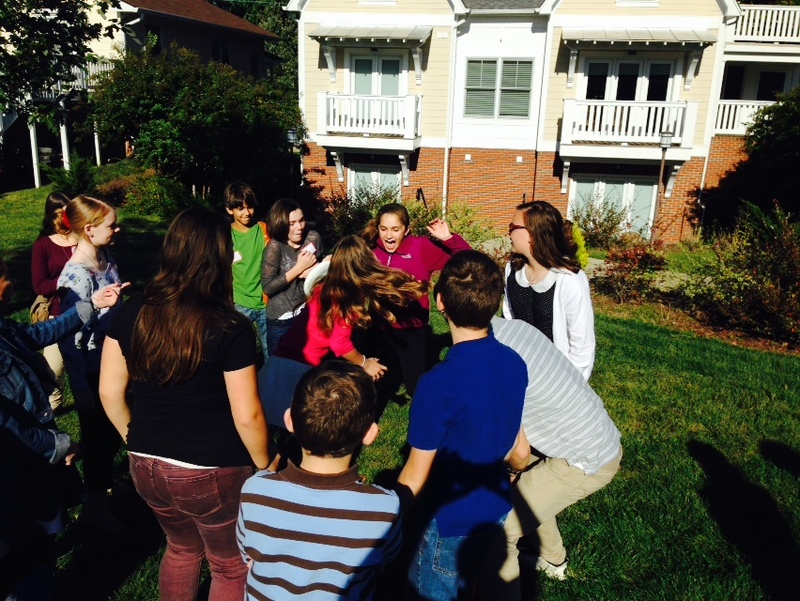 At St. Mary, our middle school program serves teens in 6th and 8th grade. Our programs are created to celebrate our faith and life in a way that is fun and welcoming for all middle school age teenagers. The middle school years are a very important time in the life of a teenager filled with significant changes and new opportunities for them. It is our desire at St. Mary to tap into that raw energy and potential that middle school teens have and provide a safe, faith-filled environment for them to discover what God is calling them to. Our middle school teens, if they have not already received the Sacrament of Confirmation, are involved in many programs within St. Mary: Religious Education throughout the week and participating in their Confirmation Teams doing service and spiritual works throughout the community. Youth Group is filled with games, powerful talks, presentations, icebreakers and fellowship. Our aim is to develop relationships with our middle school teens in order to accompany them in their faith journey through the sacrament of Confirmation and continue with them into high school. Middle School Youth Group meets on bimonthly on Fridays from 6:30 pm to 8 pm. Check our calendar page for specific dates. The BASH is the largest Diocesan event for middle school-aged teens in our area. We gather to celebrate our faith and love of the Lord! Over 500 hundred middle school students gather for hours of music, inspirational speakers, inflatable games, food and Saturday night Vigil Mass. This event takes place on a Saturday.